Wrap and wear funky, trendy bangle bracelets with duct tape! It's easy to rip strips of bright, colorful duct tape and wrap them around bangles for pops of color you can war. 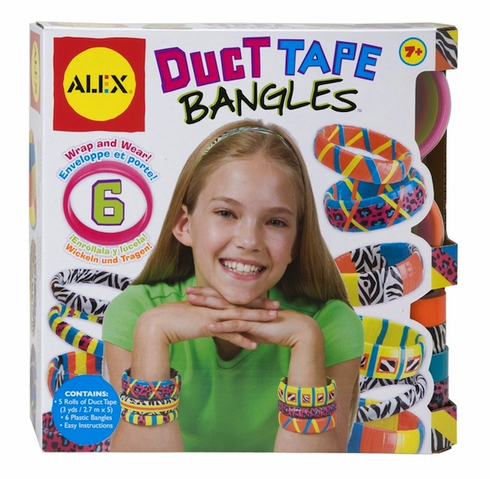 Includes 5 rolls of duct tape, 6 plastic bangles in 3 widths and easy to follow instructions. Ages 7 and up.